The National School of Occupational Health was founded in 2014 to tackle the shortage of skilled OH practitioners and to work towards avoiding a worsening skills crisis in the future. Nic Paton looks at what the school has done so far and its plans moving forward. The scale of the recruitment and retention crisis facing OH and occupational medicine was laid out in stark detail in March 2016 by the Council for Work & Health (CWH). 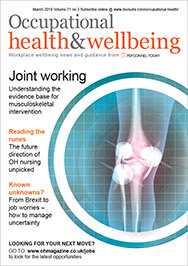 Its workforce planning report, Planning the future: the implications for occupational health, delivery and training, argued that the UK was currently short 41,700 specialists and that the ageing demographic of the OH population was a further worry. For anyone who follows such things, these conclusions were not exactly new or earth-shattering. The need to attract and retain new generations of practitioners, and to give the profession a greater profile, has long been a concern for many within the profession and, in part, is one of the drivers behind the work currently going to create a new Faculty of Occupational Health Nursing. The establishment in 2014 of a National School of Occupational Health has been another, equally important, response by the profession to some of the workforce challenges it faces. Indeed, there is a direct link between it and the work CWH is doing in this area, in that Professor John Harrison is both head of the school and chaired the working group that drew up the “Planning the future” report. 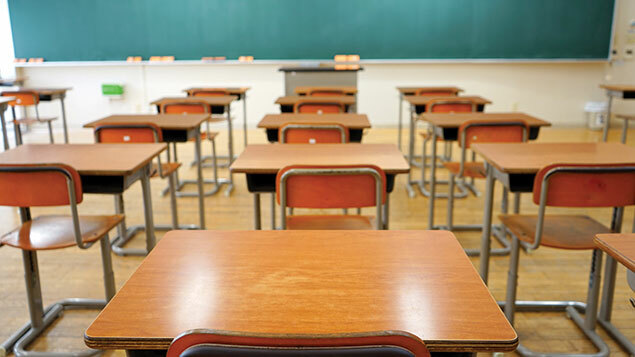 Nevertheless, the school – its work, role and remit – has up to now had a relatively low profile within the profession, concedes deputy head Mandy Murphy, something the team are keen to put right. “There is a lack of awareness about the school and what we do. Some people think we are going to run OH training programmes or degree courses and others seem to think we’re going to take over all the national training; neither of which are true. So we are keen to advertise what we do, and the vision that sits behind the school,” she explains. What does the National School of Occupational Health do? So, what is the school, what does it do, what is its “vision” and what are its plans for the future? The school is a collaboration between Health Education England (HEE) and the Faculty of Occupational Medicine (FOM), and originally grew out of a small specialties review carried out by the General Medical Council (GMC), which recommended setting up a national school for occupational medicine. But, explains Murphy, this was felt by Professor Harrison to be too narrow a vision for what was needed across the profession. “John was always adamant this should not just be a school for occupational medicine, but a school for occupational health. So it is multi-professional; it has been established to represent all professions involved in the delivery of health in the workplace. “Although there is a definite shortage, one thing we can try to influence is the quality of training programmes for occupational health specialists so that we can attract the highest calibre of people into the profession,” she adds. The school has worked to develop standard processes for occupational medicine recruitment in England, Scotland and Wales, including benchmarking for industry and defence deanery posts, and for assessment across England. It is also responsible for occupational medicine training in London, Kent, Surrey and Sussex, with the school reporting to Dr Julia Whiteman, postgraduate dean for Heath Education North-West London. As the school’s website explains, it has at its core the aim “to ensure world-class education and training in occupational medicine, and occupational health, to sustain and develop an occupational health workforce for the benefit of working people”. Its purpose is “to quality manage the provision of training in occupational medicine in England in order to ensure and assure delivery of the national curriculum for occupational medicine”. Other moves or initiatives include developing a website, publishing a regular newsletter and running an annual conference in the first quarter of each year (this year it is on “Fit for Work: new ways of working, new opportunities”). The school has also been engaging with Defence Postgraduate Medical Deanery, The Wales Deanery, The Scotland Deanery, and the Northern Ireland Medical & Dental Training Agency regarding responsibilities for training across the UK. A further strand of activity has been the appointment of an educational fellow to look at the quality of existing training programmes, so as to really understand what is going on and work out where the gaps are. The school has an important role in terms of helping to ensure that trainees feel they have a proper, collegiate support network, Dr Whiteman explains. “One reason why the school came into existence was because there were concerns raised about what was happening around occupational medicine training nationally. These concerns, which were raised by the GMC, were indicative of the particular characteristics of occupational medicine, especially the fact it is a small specialty,” she says. “One of the difficulties this can create is that, if there are relatively few trainees spread out across the country, and just a very few within each local team [deanery], it is hard to get that sense of consistency of training and collegiality of experience. If you are working as a trainee in any other, bigger specialty area, there will normally be other people within the trust or organisation alongside you during your training. “But within occupational medicine, even if you are working in a hospital as part of an occupational medicine department, the majority of the trust – the people you are interacting with on a daily basis – will revolve around the delivery of acute services. “And then around half the places that have occupational medicine training are non-hospital or non-NHS, and will often be a private company or workplace. For example, Jaguar Land Rover has a very strong record of hosting training. “But, whatever level of training support that organisation provides, you are still a million miles away from the collegiate support you’re going to get within our parts of the health service. There is not going to be that interaction with other people or supervisors; the standard bureaucracy you get within postgraduate medical training. This is where the school has stepped in, by being able to bring things together under one network,” Dr Whiteman adds. “Occupational health is still seen by many as a ‘Cinderella specialty’,” agrees Murphy. “We need to explore more how we reach out to other clinical specialties about the workability of the individual. We need to look at how we can influence clinicians in both the acute and primary sectors about the importance of return to work; for example, how can we ensure the surgeon about to perform an operation is considering that individual’s return to work in his or her decision-making process? “One of our current priorities as a school will be to explore the landscape in terms of training for occupational health professionals. So if you’re, say, a physiotherapist, what extra qualifications will you need to provide good-quality advice; or what about if you are vocational rehabilitation professional? “We are, more and more, moving towards common goals in terms of people’s health and wellbeing at work. So how are OH professionals going to be trained, how is quality going to be maintained, and how are OH professionals going to be accredited and what are going to have to do to meet that?” she adds. Ensuring the quality of training is consistent, in terms of content, curriculum, delivery and clinical assessment, is also a core priority. “There are some really good courses out there, delivered by, and delivering, really skilled professionals. But there are also some very bad ones,” concedes Murphy. HEE, for example, has recently published a new quality framework and the school is going to look at how that could be translated for occupational health training, including identifying core competencies that employers can question and understand, says Murphy. The aim is that, eventually, there will be a forum for the sharing of learning across OH-related multidisciplinary groups and that it will be an “approver” of quality and standards within OH training. This focus on reflecting the multidisciplinary nature of the profession is important, emphasises Murphy. The school is, for example, working to develop workshops for trainers in other clinical specialties, increased rotation opportunities for trainees in occupational medicine, and more work experience placement opportunities. OH professionals can also expect to see the school working closely with the Faculty of Occupational Health Nursing when it launches in 2018. “The faculty’s development group has been doing a phenomenal amount of work reviewing education programmes for OH nurses,” says Murphy.